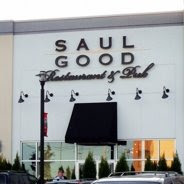 Saul Good (the restaurant behind Fayette Mall, near Old Navy) will be offering all of their menu items at half off on the 4th of July. All the proceeds from the day will go to the U.S. Military. Frugal tip! Here is a cheap, safe and green way to clean your microwave. Place 1 cup water w/ about 2 tablespoons of lemon juice and microwave for 5 minutes. After five minutes wipe the inside of the microwave clean. A bonus is your house will smell fresh and clean and you didn't use chemicals around your families food. FREE Juicy Juice Water bottle Available for a limited time.